Welcome back to the blog! Today’s post is very timely as it is finally time to start my seeds for this year! I live in Zone 7 so I’m just able to start germinating my cold hardy plants indoors. I’ve done this a few ways, but today I’m going to share the most cost effective way I’ve used. Ok, let’s just cut to the chase. Cardboard tubes. That’s the secret. Nothing too exciting here today but cardboard tubes. Cardboard tubes make great plant starters because they are the perfect size and they are eco-friendly. 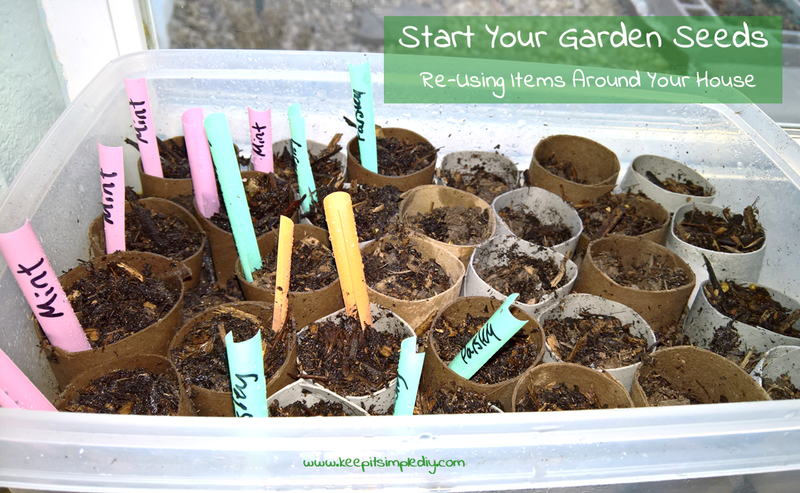 You can plant your starts straight into the garden, cardboard tube include. Any type of cardboard tube will work perfectly from toilet paper tubes, to paper towel tubes, to wrapping paper tubes. All you need to do is cut them into about 2.5 inch sections (half of a toilet paper tube). Then, cut 4 slits spaced evenly around one side about a half inch long. Fold the pieces like you would fold a box to close it without tape. And wholla! All you need to do then is find a container to put them in, fill with soil, and plant your seeds. Don’t forget to label the seeds. I just used cut up pieces of straws I had lying around the house.